Building up complex queries can take a lot of time. If you use the same search criteria often, you might want to save these queries instead of constructing them every time you want to search in your data set. In Plexus Suite, you can save search queries and then use them for filtering down your data. You can also delete them or change their names. When you open a searchable database view (a form or a table), and build up a query, you have to run it first in order to make the Save Query button appear. A click on this button adds the current query to the list of your previously saved ones. Once you have created a saved query, it will be available only from your own user account. 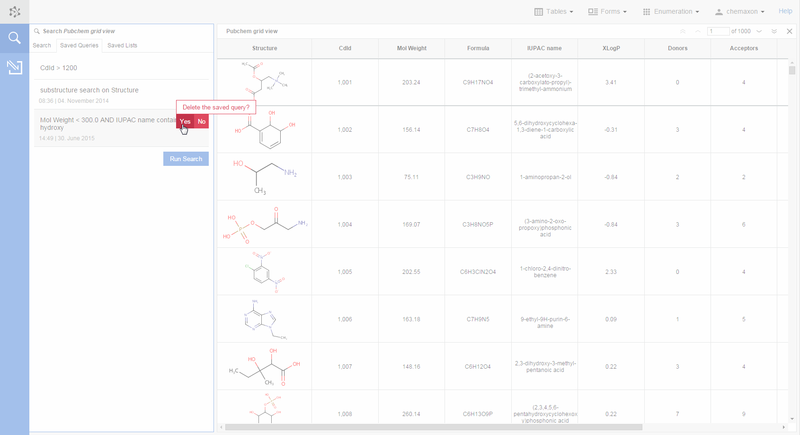 If you want to give access to some of your saved queries to other users as well, you can share these queries with them from the Instant JChem desktop application. 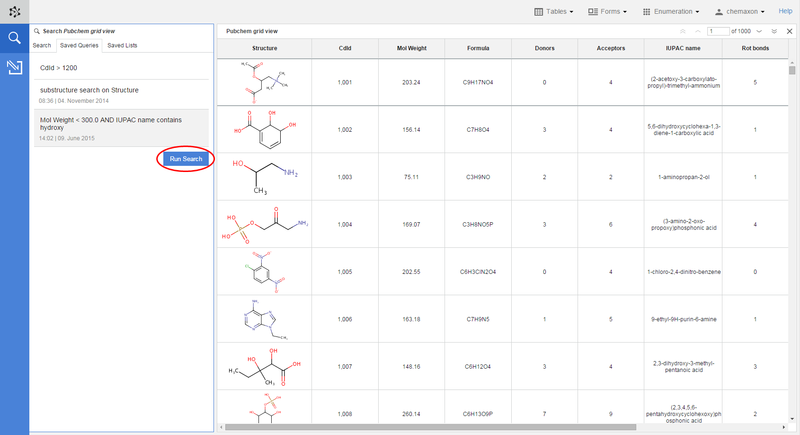 You can reach your saved query collection from the Saved Queries tab of the search panel. This tab contains every saved query which belongs to the same source data (database) and which was either created by yourself or was shared with you. If you want to use a saved query to filter down your data, you have to select it with a single click. 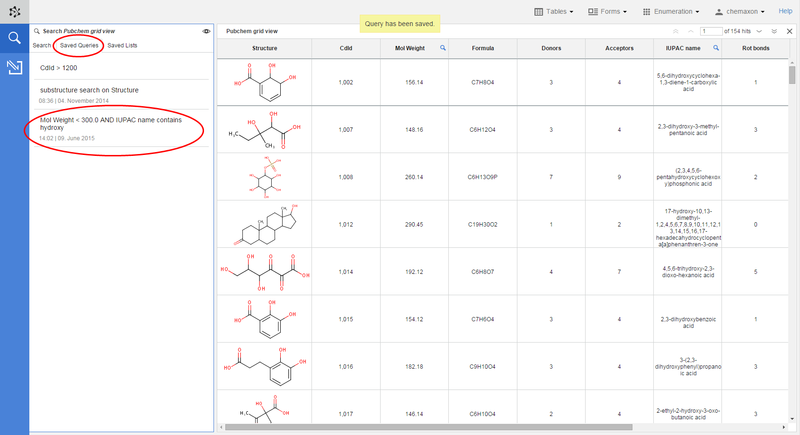 Once a query has been selected, the Run Search button appears on the Saved Queries tab. Clicking on this button will run the search based on the conditions saved in the selected query. Alternatively, you can run a query by double-clicking on it. You can rename your queries as well by selecting them first and then clicking on the name of the query. Type the new name in the opening text editor and press Enter to save the changes once you are finished. If you want to cancel the renaming, either press Esc or simply click out of the editor. If you do not need a query anymore, you can delete it from the database. Please note that deleting a saved query will permanently remove it from the database, and it will not be available either for its creator or for other users with whom it has been shared. In order to delete a query, move the mouse cursor over it and the click on the "X" button next to it. As a result, a red ribbon will appear where you have to confirm whether you want to permanently delete the query. Please note that you can rename and delete only those queries which were saved by your own user. In the case of those queries which were only shared with you, you can still use them for searching, but you will not be able to either delete or rename them. Need more help? 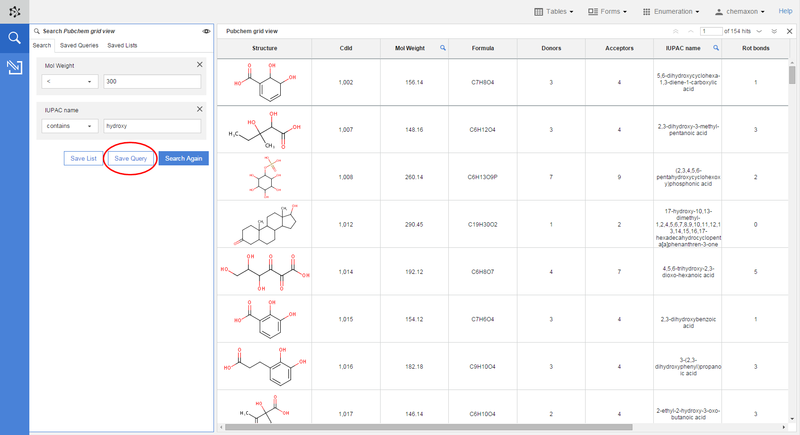 Check out our tutorial video about filtering a data set by using a saved query and exporting the search hits into a file.